Few ecosystems on earth are as crucial, or as fragile, as coral reefs. Although they make up less than one tenth of one percent of the undersea area, they host over 25 percent of the world's fish biodiversity, earning them distinction as "rainforests of the sea." But the tiny marine animals that form the foundation of these mesmerizing landscapes, corals themselves, are under considerable threat from human activity - and their loss could change the face of the ocean as we know it. It took millions of years for coral reefs to blossom and grow, but it may take only a few decades for them to disappear completely. On a whole, around 10 percent of the world's coral have died out, while some individual coral species have declined by at least 90 percent. This is largely due to rising sea temperatures and ocean acidification, both directly linked to the release of greenhouse gases and climate change. A recent move by the National Oceanic and Atmospheric Administration (NOAA) is helping to shine light on the issue. This week, the federal agency announced that 20 separate species of coral will gain protections, and be the subject of extensive study, listed as "threatened" under the Endangered Species Act. The 20 species, found in the Indo-Pacific and Caribbean oceans, join two others that were already listed. 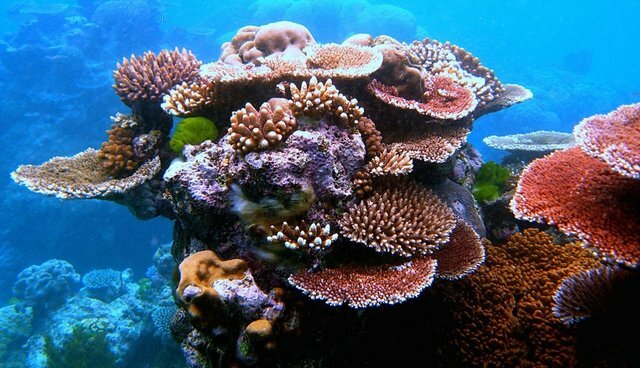 "Coral reefs are one of the most biologically diverse ecosystems on Earth, providing habitat for many marine species. Protecting and conserving these biologically rich ecosystems is essential, and the Endangered Species Act gives us the tools to conserve and recover those corals most in need of protection."